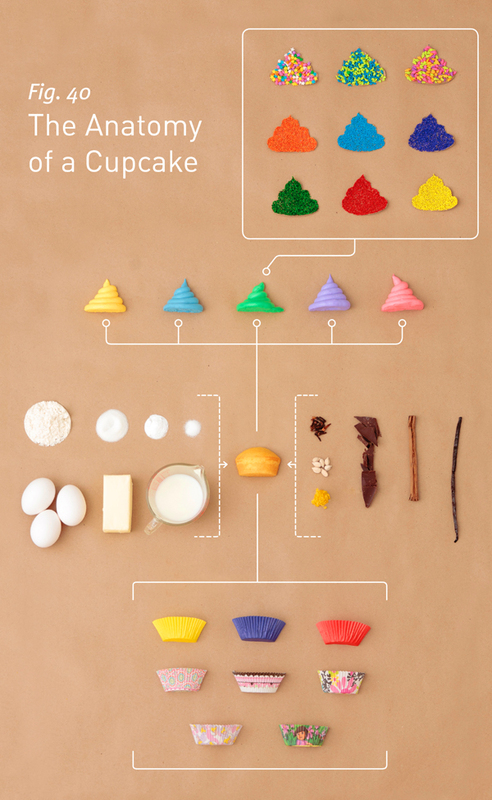 Whimsical Cake Studio Inc.: Cupcake Anatomy! Sorry for the lack of blogging this month...it has been a CRAZY whirlwind this month for us. I do have some fun cakes to update you with, but will need to pull those out of the memory card, so hold tight for that. For now, here is a fun post I wanted to share with you! My cousin Franny (who is my cover model for the website) sent me this fun link! There's even a fun video of how they came up with this print! It has inspired me to put one together for a cake! Yes....I think I will start sketching some ideas for the Anatomy of a Whimsical Cake!